When you or your partner is agitated, it may be impossible to carry on a respectful conversation. It may be impossible to take turns speaking and listening to each other. One reason you are still in a room arguing with someone…. is because YOU are still in the room... arguing with someone. It’s not unusual that small conflicts become raging arguments because neither partner is listening. 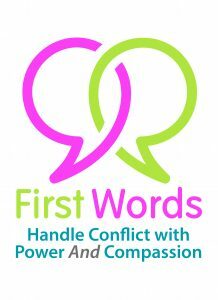 In most high conflict argument no method, no mantra and no philosophy will make partners calm down and listen to each other. That’s why some couples need to come from the same page literally. They will get through these high conflicts in fine shape, if they’ve made a very specific agreement with each other. The agreement is a simple one paragraph commitment. In my workshop next weekend each partner makes 5 agreements and learns 2 skills. The Time Out agreement below covers all of these obstacles. If one partner continually ignores the agreement he, or she, made; then that partner is ‘out of their own control’ and needs to seek individual or group treatment. Say the next paragraphs out loud to each other while making eye contact 3 to 5 times with partner. For the partner listening to the agreement, please do not read along while your partner is reading out loud. Watch your partner’s face to be available for the eye contact. (Say partner’s name) if you say the phrase, “I need a Time Out.” and you say when you are coming back, I will stop talking and let you leave the room. We will talk later about the issue when you return. I trust that as you’re leaving, you will say how long before you return to talk with me. This is a no matter what agreement for me. No matter what, I am committed to your emotional safety. No matter what, I will let you leave the room without verbal or physical interference. I know this agreement may be the most important measuring stick for whether we can change as a couple. and, amends/action that may include ‘I’m sorry.” And, saying what action I’ll take. “That’s right I interrupted you and raised my voice. The agreement is simple to make, but difficult to implement. After all, there is adrenaline flowing and people are agitated and don’t want to rein in their impulsive selves. The weekend workshop coming up January 20th – 21st makes sure that each partner gets a thorough understanding of the many reasons that interfere with success. Success is measured by the ability of one partner leaving the room, and coming back to connect with his or her partner later. Go HERE to sign in for the email registration form as there is space for two more couples.